For students of the early American republic, James Madison has long been something of a riddle, the member of the founding generation whose actions and thought most stubbornly resist easy summary. The staunchest of Federalists in the 1780s, Madison would turn on his former allies shortly thereafter, renouncing their expansive nationalism as a threat to the Constitution and to popular government. In a study that combines penetrating textual analysis with deep historical awareness, Gary Rosen stakes out important new ground by showing the philosophical consistency in Madison's long and controversial public life. The key, he argues, is Madison's profound originality as a student of the social compact, the venerable liberal idea into which he introduced several novel, and seemingly illiberal, principles. Foremost among these was the need for founding to be the work of an elite few. 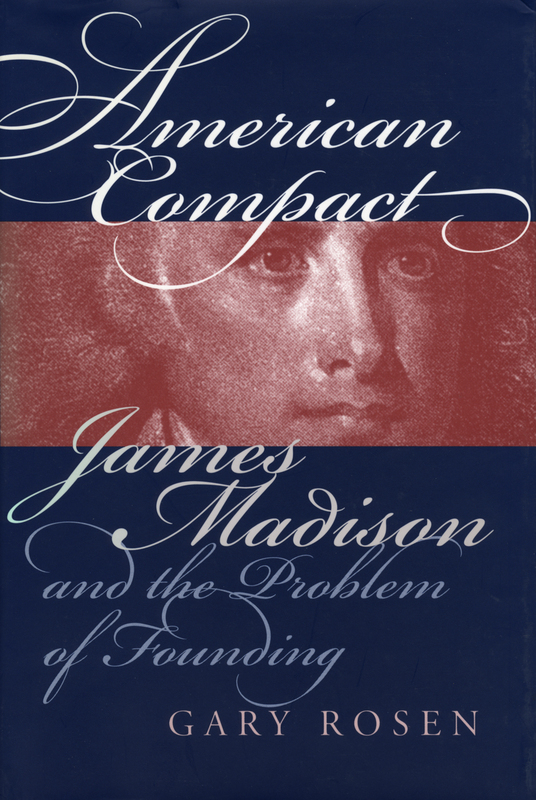 For Madison, prior accounts of the social compact, in their eagerness to establish the proper ends of government, provided a hopelessly naive account of its origin. As he saw it, the Federal Convention of 1787 was an opportunity for those of outstanding prudence (understood in its fullest Aristotelian sense) to do for the people what they could not do for themselves. This troublesome reliance on the few was balanced, Rosen contends, by Madison's commitment to republicanism as an end in itself, a conclusion that he likewise drew from the social compact, accommodating the proud political claims that his philosophical predecessors had failed to recognize. Rosen goes on to show how Madison's idiosyncratic understanding of the social compact illuminates his differences not only with Hamilton but with Jefferson as well. Both men, Madison feared, were too ready to resort to original principles in coming to terms with the Constitution, putting at risk the fragile achievement of the founding in their determination to invoke, respectively, the claims of the few and the many. As American Compact persuasively concludes, Madison's ideas on the origin and aims of the Constitution are not just of historical interest. They carry crucial lessons for our own day, and speak directly to current disputes over diversity, constitutional interpretation, the fate of federalism, and the possibilities and limits of American citizenship. Gary Rosen is associate editor of Commentary and holds a Ph.D. in political science from Harvard University.